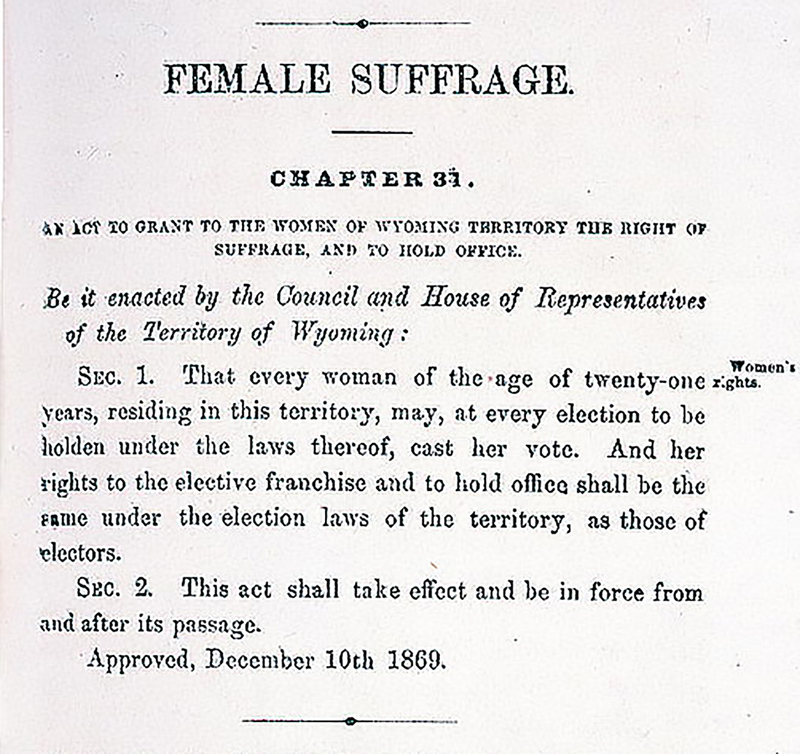 Wyoming was the first territory (and eventual state) in the Union to grant women the right to vote in 1869. William Bright, who held a seat in the 20-member territorial legislature, sponsored a bill that all citizens should have suffrage — or equal rights — including the right to vote. The story of why Bright actually sponsored the bill is far more in-depth than this, of course. While there was no organized suffrage movement in Wyoming – no rallies or parades — a group of women marched outside of territorial Governor John Campbell’s office until he signed the bill into law. 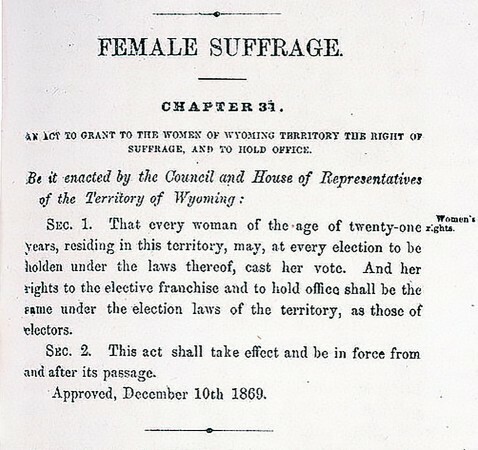 Wyoming is known as the “Equality State” and boasts a number of “firsts” for women along with the right to vote. Esther Hobart Morris was the nation’s first woman justice of the peace; the first jury to include women was seated in Laramie in 1870; and Nellie Tayloe Ross was the first woman governor, elected to complete her husband William’s term when he died in office in 1924. She also went on to become the first female director of the United States Mint appointed by Franklin D. Roosevelt in 1933.